Want to increase wellbeing in your workplace? 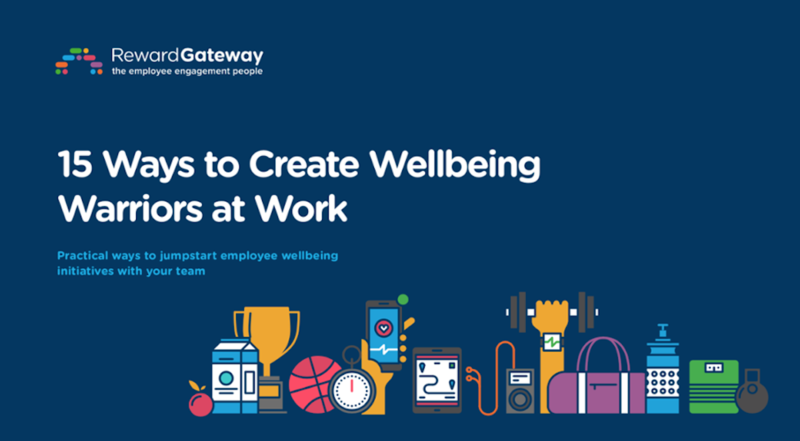 In this eBook, we share 15 ways you can assemble a team of Wellbeing Warriors to spread wellbeing across your workforce and get everyone moving. Wellbeing is one of THE hot topics at the moment. After attending Reward Gateway’s first Wellbeing seminar and hearing experts talk about the state of health and wellbeing globally, the event made me think about the UK's approach to health and what we could stand to gain from applying our knowledge to the workplace. 1. 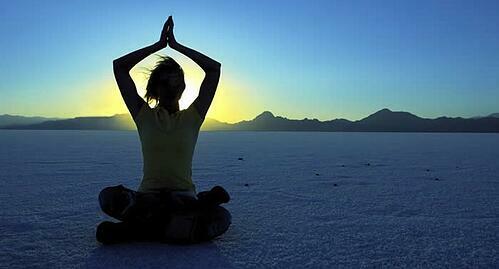 UK employers aren't spending any money on wellbeing initiatives. In a recent wellbeing survey conducted by Reward Gateway, wellbeing rated alongside investment in infrastructure and equipment as the lowest in importance in terms of business expenditure. That's crazy! The same survey revealed that health and wellbeing at work is one of the top items on the HR agenda this year, but that employers have absolutely no idea of the impact. No one seems to be tracking the effect their health and wellbeing initiatives are having, and as a result can't tell what's working and what isn't. 2. We spend more time online than we are asleep. 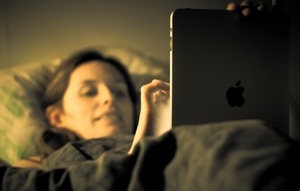 A recent study by Communications regulator Ofcom said UK adults spend an average of eight hours and 41 minutes a day on media devices, compared with the average night's sleep of eight hours and 21 minutes. There’s a huge amount of resource available which highlight the effect poor sleep has on work productivity, and how constantly being plugged in makes it more difficult for us to switch off. Thankfully our obsession with digital technology seems to be taking a step in the right direction, with thousands of new products and apps dedicated to tracking and improving our quality of sleep. We've been trialling the best wellbeing apps in the Reward Gateway office, and it's created a competitive element as to who’s having the best/longest sleep. A direct, positive effect of this wearable technology is that it's initiated conversations in the office, subsequently promoting better sleep amongst our employees. 3. Pulling a sicky? It’s costing UK employers £29,000,000,000 per year. At a time when companies are striving for growth it’s imperative we address this huge cost by looking for ways to improve employees' health and motivation. Making small changes to your work environment can be as simple as creating spaces for employees to spend away from their desks, like a break-out area, or providing fruit as snacks instead of biscuits and chocolate. Pulling a ‘sicky’ often happens because employees are not happy at work which can be linked to boredom. I know in my last job I was completely demotivated and pulling a ‘sicky’ was tempting instead of struggling through another day. In hindsight, only very simple changes needed to be implemented to make a huge difference to my working day. 4. Find 30. If you don’t, it might kill you. Physical inactivity is one of the leading causes of death in the UK. It’s a very simple message that’s been told to us over and over again; move your body more and your health will improve. 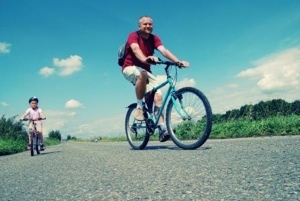 Exceedingly busy lifestyles coupled with advances in technology have resulted in employees working longer hours and ‘not having time’ to be physically active. Promoting this in the workplace is a huge step in the right direction - models like Cycle to Work and corporate rate gym memberships are a good starting point. But why not think outside the box? I started an RG Yoga Club which was hugely successful; an hour every Monday in the top floor of the pub next door with 10-12 colleagues. I can’t tell you how great this was for stress relief, better sleep and for bringing health and fitness into the work arena. Inactivity costs the UK a staggering £8bn a year. Research shows that 1 in 4 UK adults are inactive - and by inactive I mean that they don’t increase their target heart rate for at least 30 minutes a week. It really doesn’t take much though, does it. I’m no gym junkie, and I’ve made very small changes recently such as walking to the tube station instead of getting the bus, going for walks with my friends on the weekends (including to and from the pub) and using a pedometer on my iPhone to track my steps each day. Very small changes have meant I’m now more physically active than I was and they weren’t difficult to introduce to my lifestyle. 5. 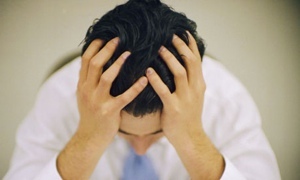 1 in 4 people in the UK will experience mental health issues at some point in their life. It’s so interesting to me that mental illness (especially in the workplace) is still a taboo subject - and so many of us will know someone who suffers with it or personally battles with it themselves. I’m a big fan of the organisation Time to Change and the way they’re approaching mental health in the UK. There’s a really resourceful section on their website on mental health in the workplace, with case studies to show how employees and employers alike can best work together. 6. 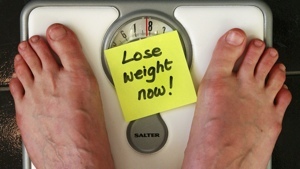 A whopping quarter of the adult population in the UK is obese. I always find this can be a difficult subject to approach when it comes to the workplace. Questions like; ‘why would an obese worker be less productive than other employees’ and ‘why should an individual’s weight affect their ability to do their job’ spring to mind, and aren't easy to answer. The fact is, we’re bigger than we’ve ever been and it’s going to be a huge, fat problem if we don’t address it now. The British Heart Foundation’s website highlights some facts about how to be heart healthy with some great guidelines and resources we can all implement in our lives. 7. Get app happy - there’s over 100,000 health and wellbeing apps available on all smartphones and tablets. Every single one of my friends has a smartphone. And every single one of those friends has at least one app on their phone which monitors something like calorie intake, number of steps taken, physical activity, sleep patterns and so on. I’m a huge fan of them and I find these health and wellbeing applications are beneficial for me and my lifestyle. Approximately 72% of the UK population has a smartphone, so why not use this channel to your advantage by promoting positive health messages to your employees at work? Advertise ones that you think would be great for your workforce by sharing a link, an app, or integrating particular sites or apps onto all company phones, if you have them? If not, you can still promote them on your company intranet to encourage your people to download for use on their personal phones. Most of these great apps are free, so the cost to you as an employer is absolutely nothing. A few of my favourites are: Pump Up, Strava, My Fitness Pal, DigiPill Sleep and Relaxation and NHS Drinks Tracker. It’s important we’re constantly thinking about health and wellbeing and develop proper strategy because we’re at a time where we can’t afford to ignore it. I’ve been fascinated by what information I’ve found while writing this blog, and now I’m interested to see how UK businesses are approaching this individually. If you’ve done something really great for health and wellbeing in your workplace, I’d love to hear from you.